For metal recycling companies who operate on many sites or offer scrap processing as a service, time is a vital, but very scarce, resource. It is sometimes the only factor that rules out potential customers - and moving the production equipment faster to remote locations would make all the difference. The new Metso N-Series Mobile Shear/Baler/Logger (NMS) and N-Series Box Shear (NBS) have been developed with active and mobile scrap processing companies in mind. "The ever-changing demands of the scrap processing industry require a bigger choice of solutions capable of meeting specific capacity needs. The pioneering N-Series Mobile Shear/Baler/Logger and N-Series Box Shear are our latest offering to support and serve our global customers of all sizes. Being compact and movable, they are especially ideal for small to midsize processors and metal processing in temporary locations," says Bob Pfeffer, Product Manager, Shears and Balers, North America, Metso. The Metso N-Series range is fully backed by Metso's worldwide service network. High uptime can be further ensured with local Metso service agreements. 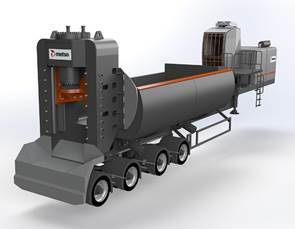 The mobile Metso NMS machines are designed and developed for a wide range of applications, such as shearing, baling and logging of a variety of scrap materials and select heavy melting steel. They can be towed to any place needed, such as scrap yards, feeder yards, auto wrecking yards or demolition sites. The NMS are available in 450, 600 or 700 tonnes (495, 660 or 770 tons) of shearing force. 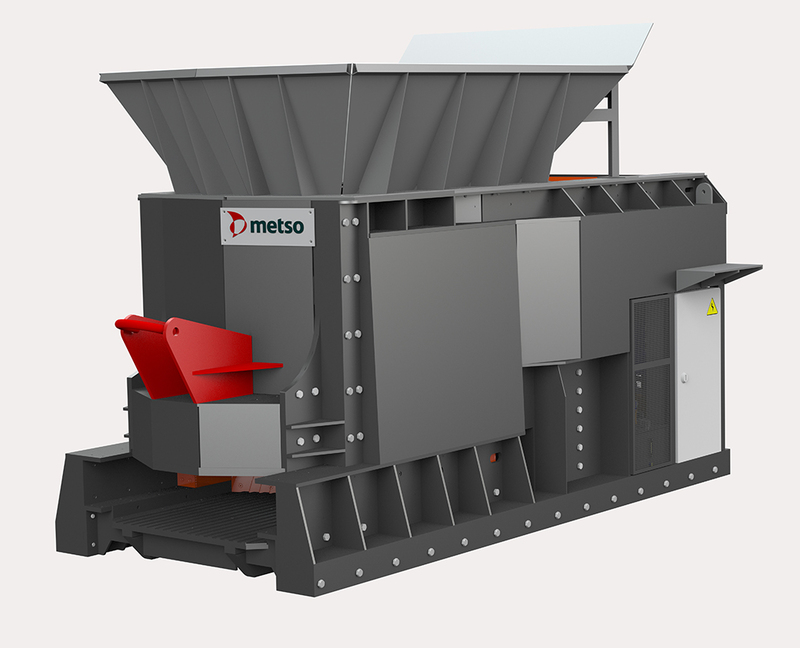 The Metso NBS is a very compact scrap shear, designed as a self-contained unit that is easy to transport and install. Ideal for small scrap processors, remote jobsites or temporary demolition sites. A versatile shear can process miscellaneous material, including sheet metal scrap, cars, rebar, pipe and selected heavy melting steel. The NBS has a shear force of 450 tonnes (495 tons) and it is equipped with a roll-on/roll-off hook system.